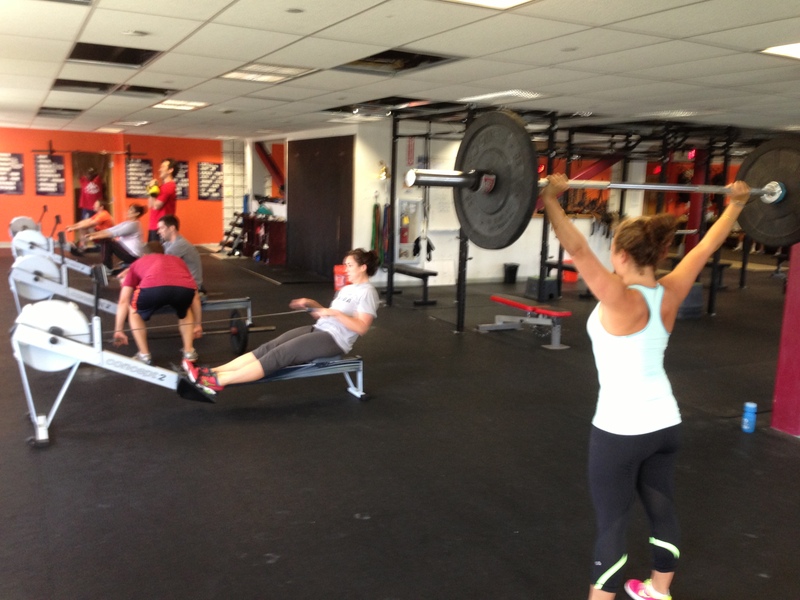 Members at CrossFit Boston hitting this wod last week! Rowing is an opportunity to push yourself as an individual and as part of a team. Today’s workout is a partner wod and a good example of how training with a partner can take your effort and performance to the next level. If you don’t have a training partner you can still do this workout, but it would be a lot more fun to grab someone from the gym and show them what rowing is all about. One partner will start on the rower and one will start performing a static hold. If at any point the static hold is lost, the person rowing must pause and wait until the static hold position is regained before continuing. This is a quick burner that will really get the lungs going. It’s referred to as tailpipe because by the end it feels like your breathing through a car’s tailpipe. Focus on breathing and get after the row! If you can, cheer your partner on and push each other. Post your team name and time to comments. This entry was posted in Fitness, Rowing, Strength and tagged endurance sports, functional movements, inspiration, mental toughness, rowing, sports, training by Renegade Rowing. Bookmark the permalink. Yeah Nick! Way to get after it!